Hart Road Potters Salt Glazed Stoneware 4.5" Pretzel Dipping Crock with 7 oz. Dutch Pretzels, 8 oz. Thick Stiks Pretzels & 8 oz. 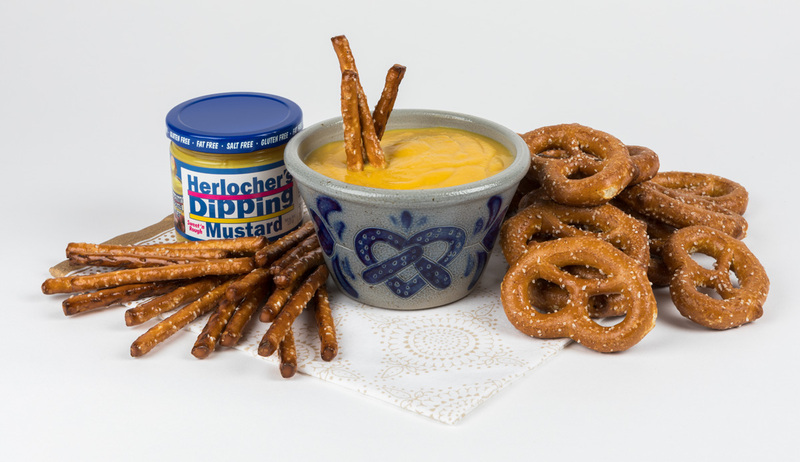 of Herlocher's Dipping Mustard. The dipping crock is food, oven, microwave, and dishwasher safe. Made by hand. Finished color and size may vary.